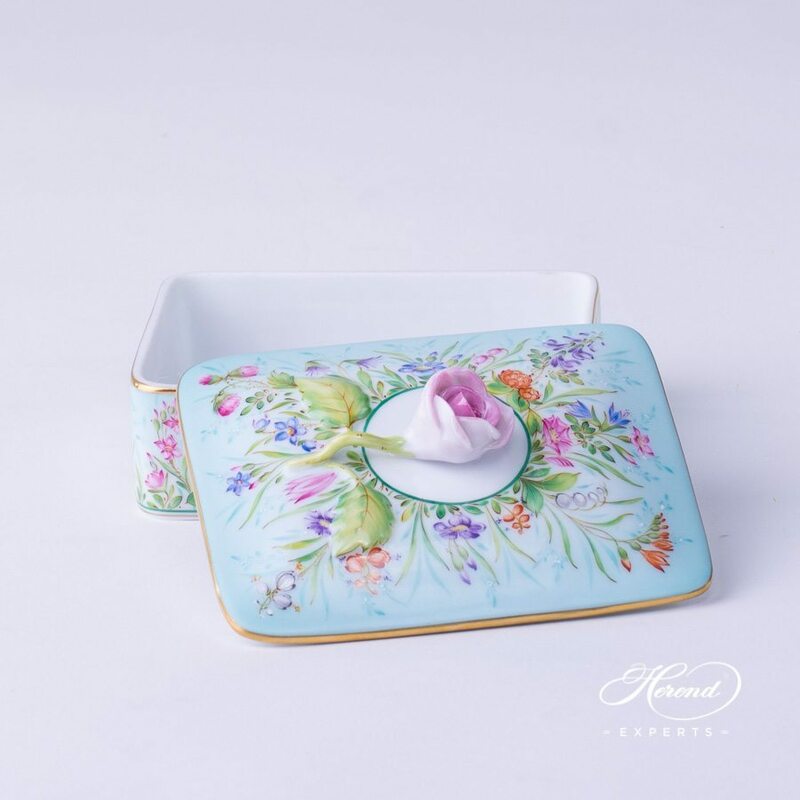 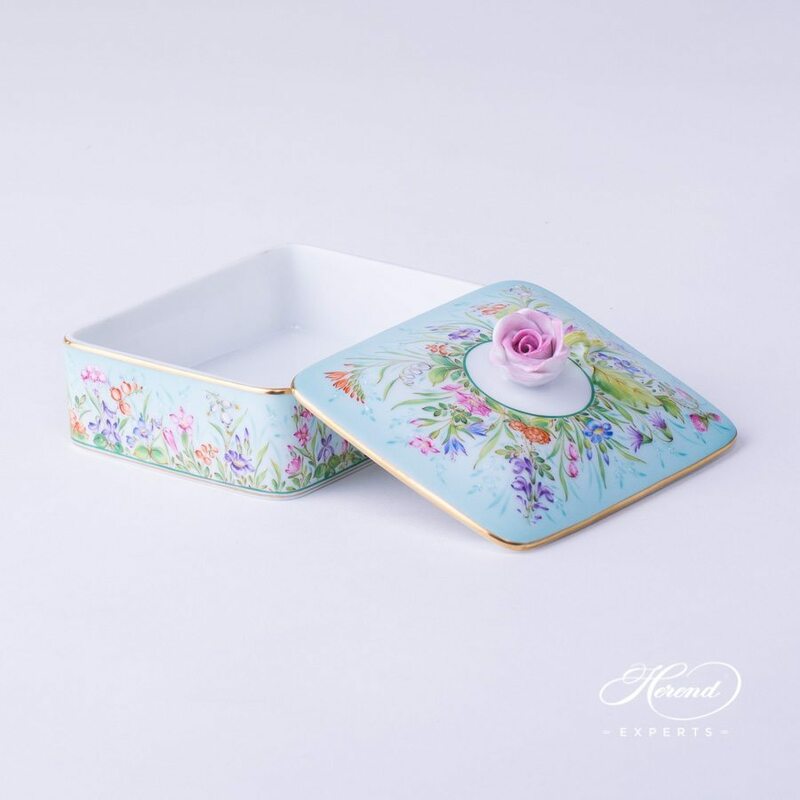 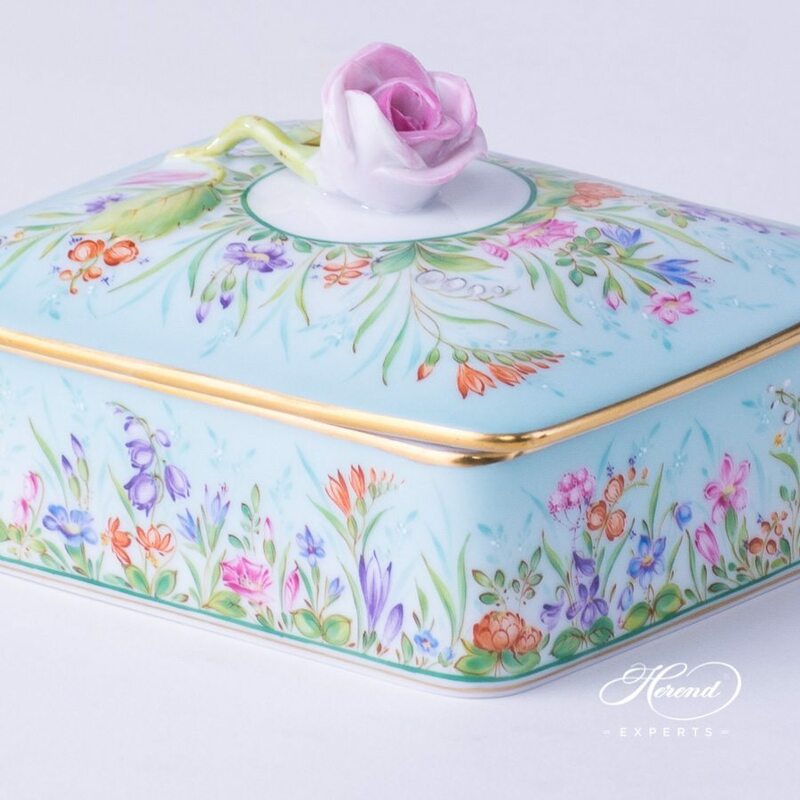 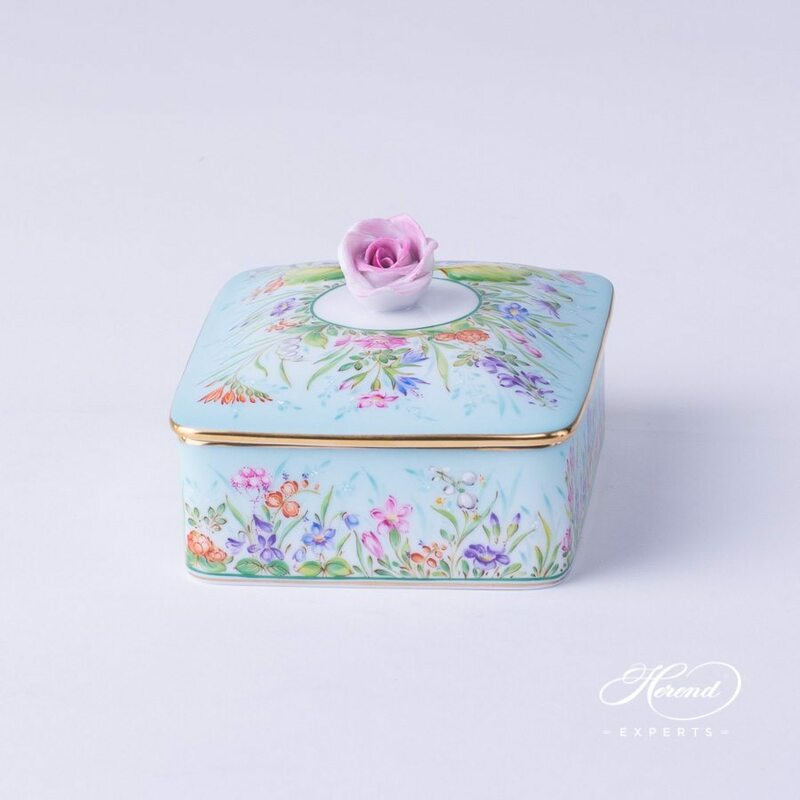 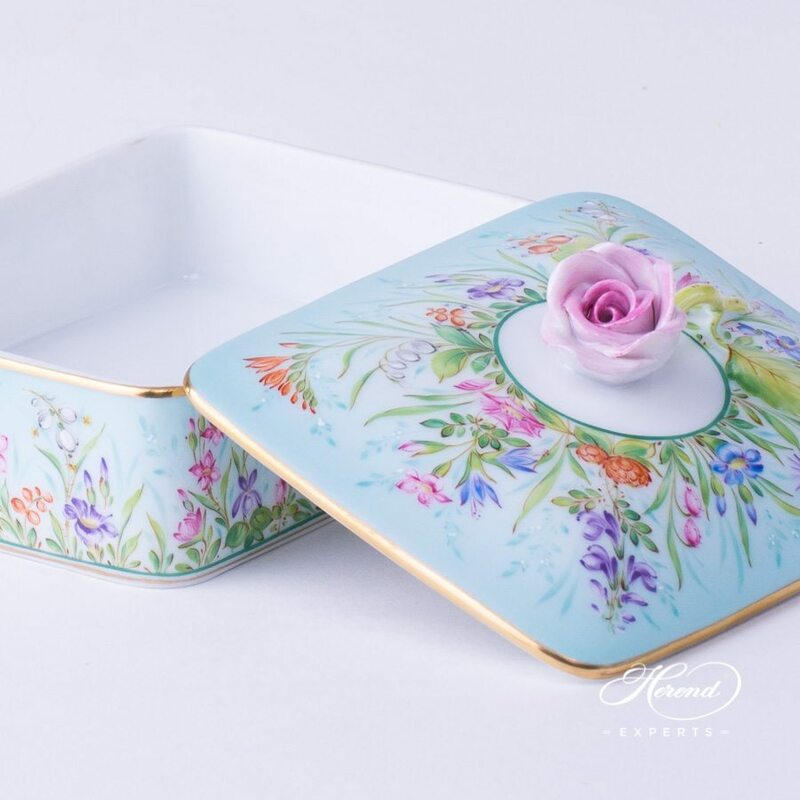 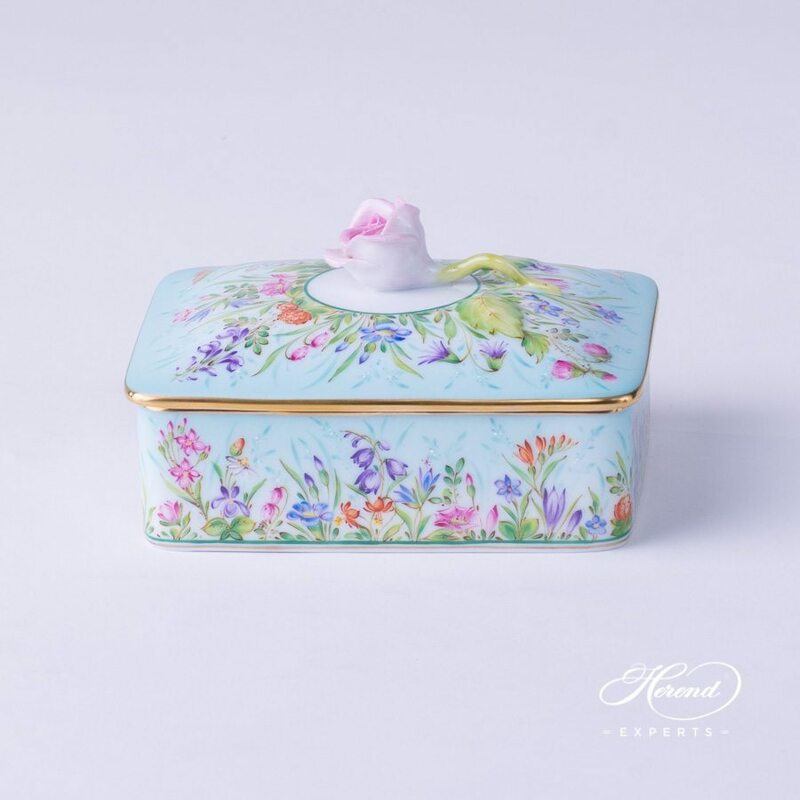 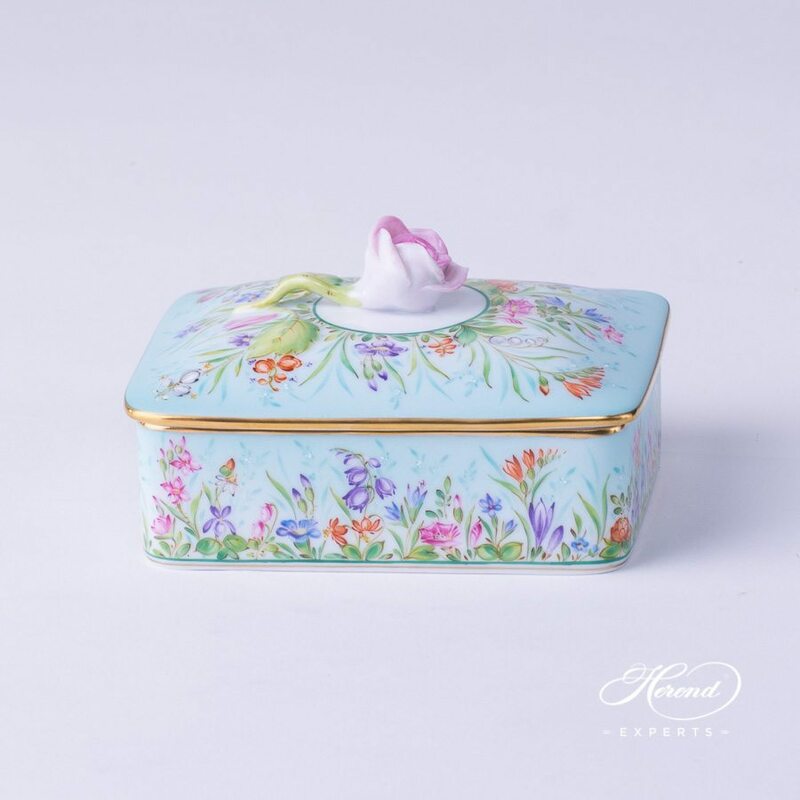 Herend porcelain Fancy Box with Lid - Herend Four Seasons - QS-X1 decor. 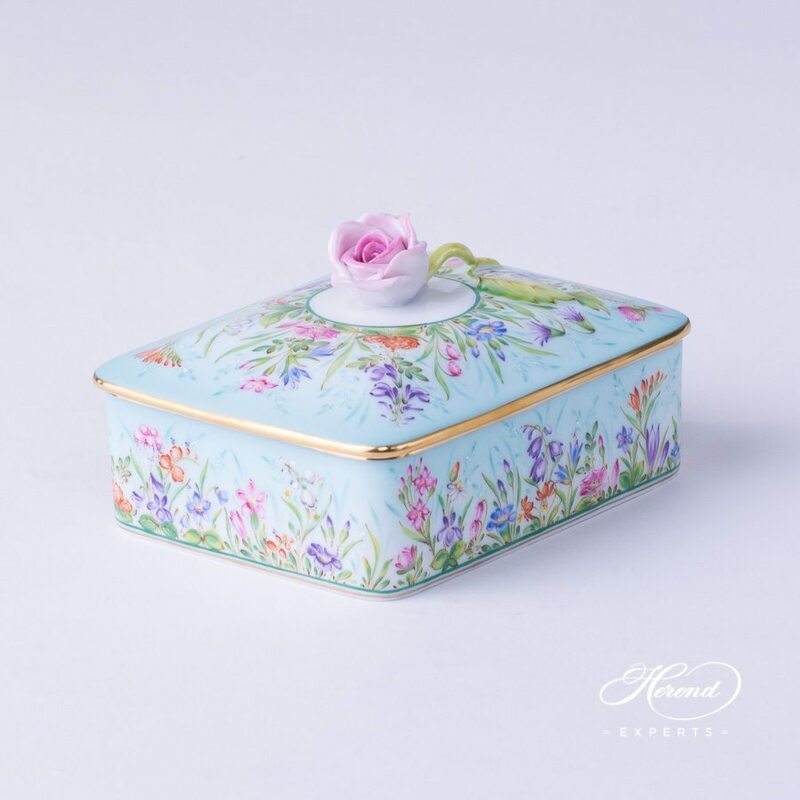 Four Seasons (Quatre Saisons) pattern is one of the most requested Herend decors. 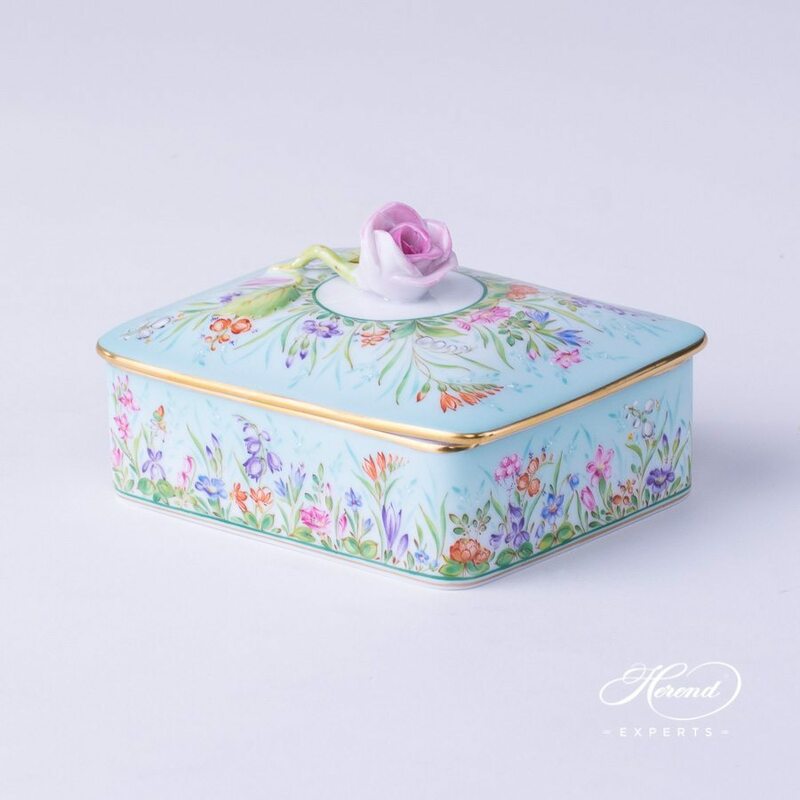 Four Seasons is a modern Herend decor on Sky-Blue background.